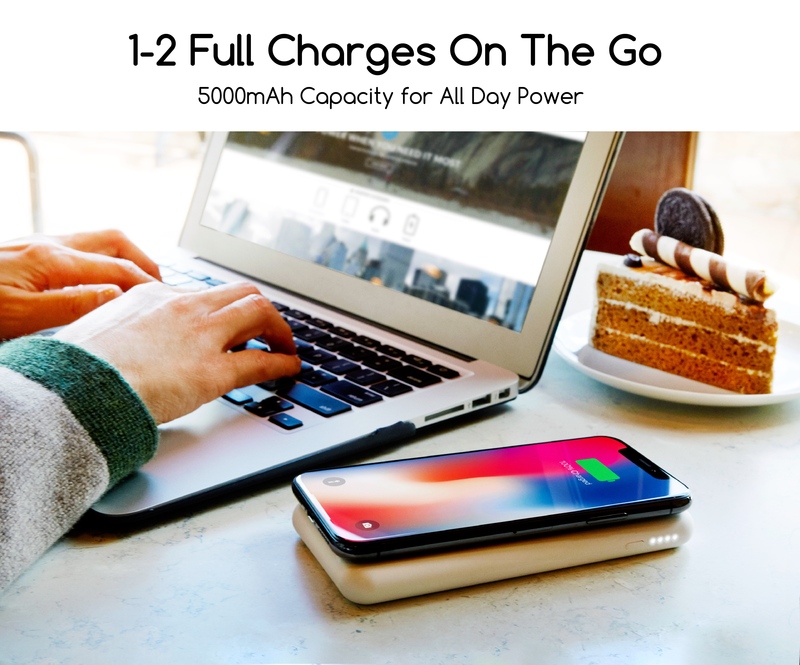 ✔ CHARGE PHONE & POWER BANK AT THE SAME TIME – 100% WIRELESSLY: The Avido WiBa power bank (5000mAh) charges your Qi enabled devices wirelessly and includes an all-in-one charging pad for a true cord cutting experience. ✔ WAKE UP IN THE MORNING READY TO GO: Just place your power bank on the included charging pad and your power bank instantly begins to charge. 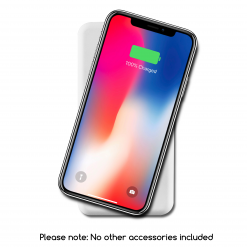 Then, place your Qi-enabled wireless charging phone on top of the power bank. 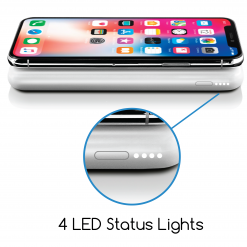 Everything charges simultaneously for complete hassle free charging. ✔ OPTIONAL METAL PLATE KEEPS PHONE ATTACHED TO WIBA: We include two slim metal plates (black & silver) that easily attach to the back or case of your phone. 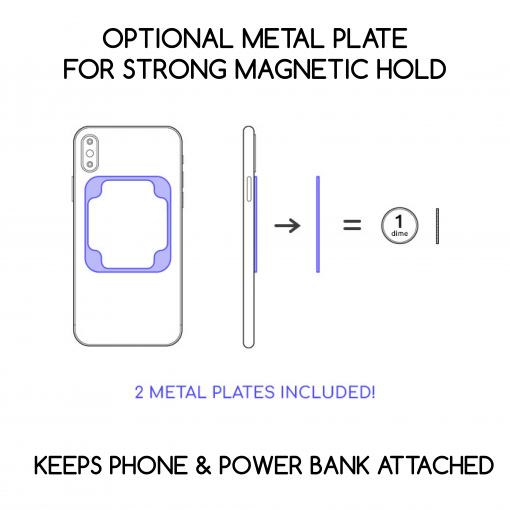 With these plates, your phone will stay magnetically attached to the power bank and will not slide off. ✔ FAST CHARGING (10W) PAD: The Avido WiBa charging pad charges the power bank without plugging in a cord. 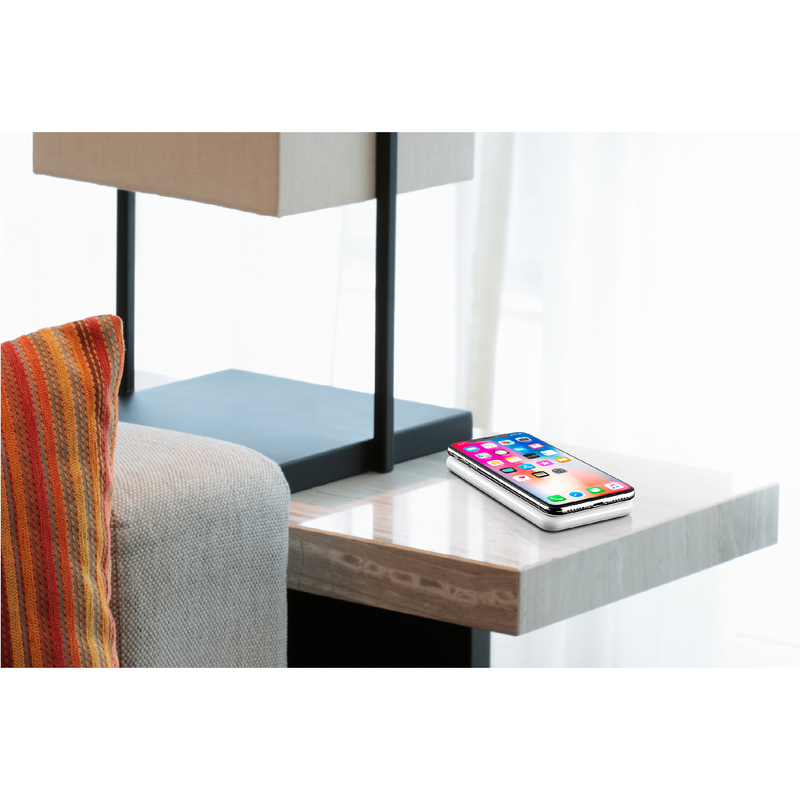 It also serves as a traditional wireless charging pad that can charge your Qi enabled device 100% wirelessly. WiBa Wirelessly Charges your Phone AND Power Bank – at the same time. Say goodbye to cables forever. WiBa is a patent pending, award-winning product. No competitor does what WiBa can. Charge Your Phone and WiBa Power Bank at the Same Time! Stack the power bank on the charging pad and your phone on the bank to charge both at the same time. 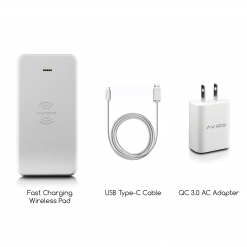 Charge your Qi device and power bank 100% wirelessly. 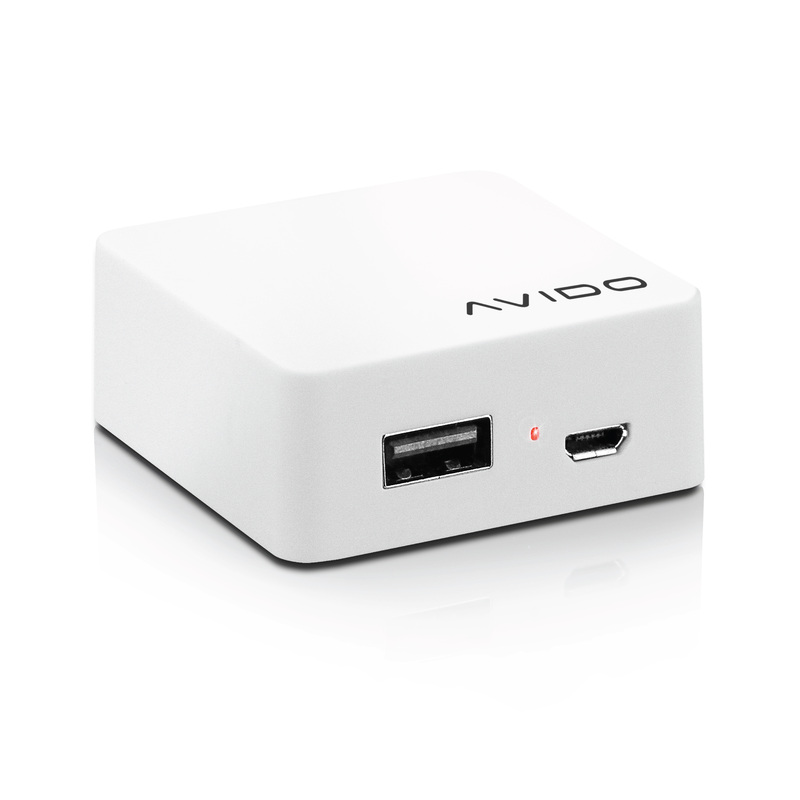 Place the Avido WiBa on the included charging dock and your power bank instantly begins to charge. Then, place your Qi-enabled wireless charging phone on top of the power bank. That’s it. 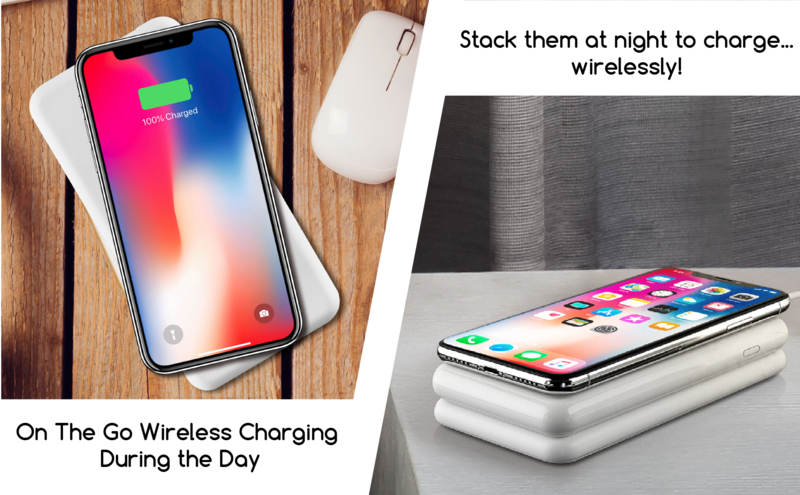 Not only does the charging dock serve to charge the power bank, but it also works as a traditional Qi wireless charging pad. Fast Charge compatible. 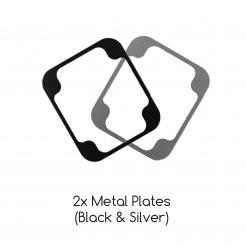 We include two slim metal plates (black & silver) that easily attach to the back or case of your phone. 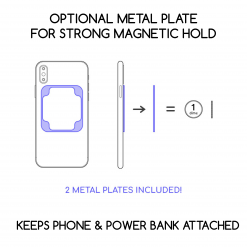 With these plates, your phone will stay magnetically attached to the power bank and will not slide off. 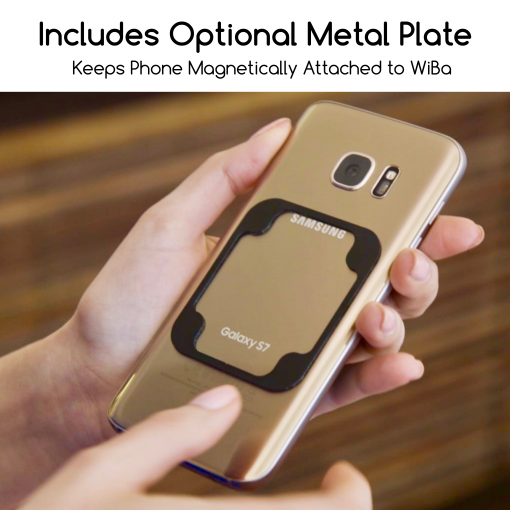 WiBa’s metal plates integrate seamlessly with phone cases of all sizes, securing your phone to the power bank while you’re on-the-go. 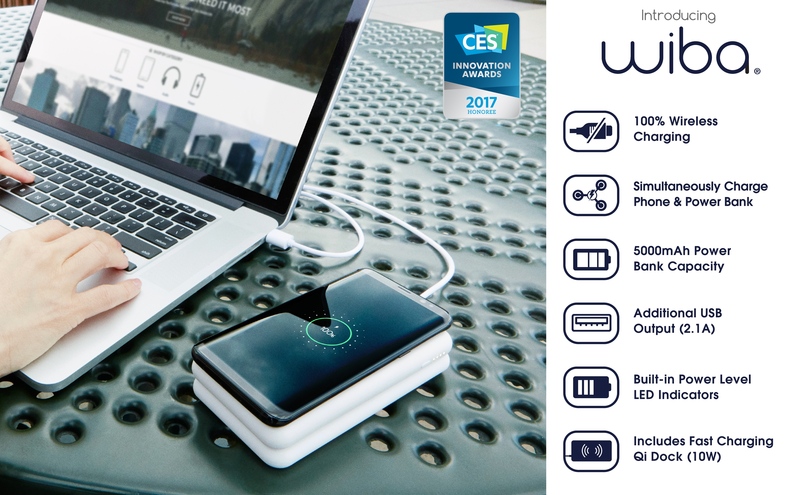 WiBa becomes a portable wireless charging pad and power bank – all in one! 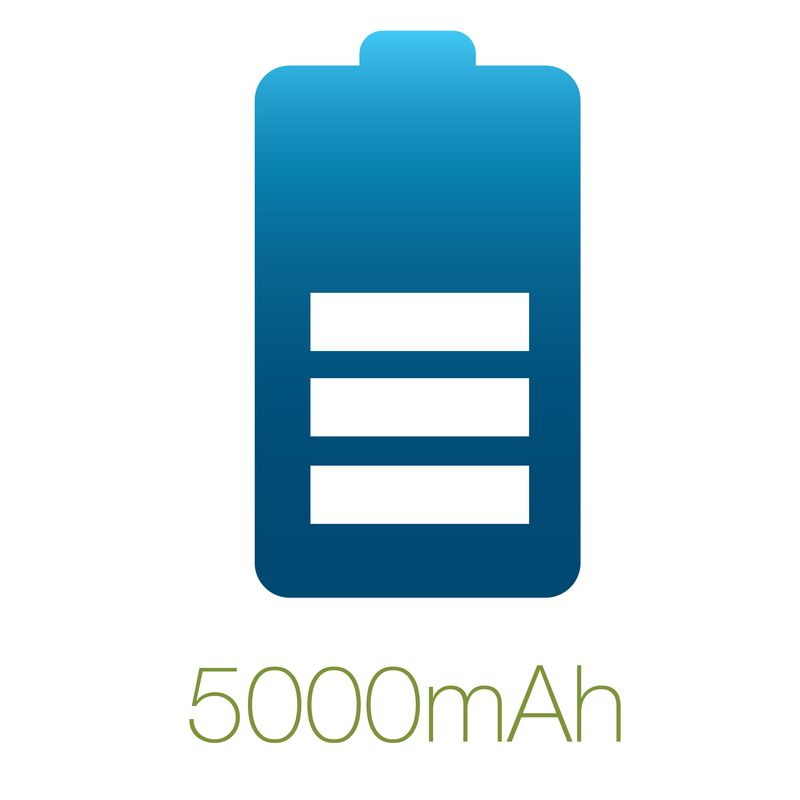 We’ve packed WiBa with 5000mAh of capacity. That’s loads of power to keep you going all day and night long. On average, you can expect to charge your phone 1-2x. That’s the perfect amount for everyday use. This includes power levels at 25%, 50%, 75%, and 100%. 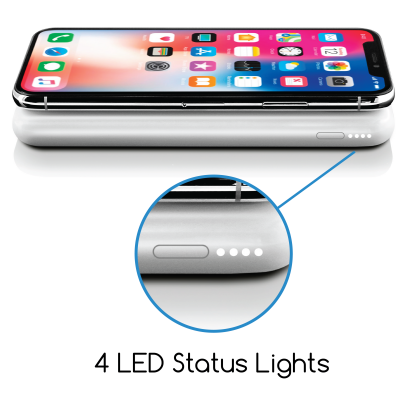 A separate LED light indicates the wireless output function is active. 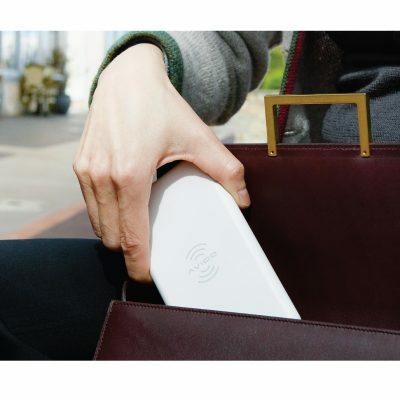 Leave WiBa in your purse or briefcase and always be prepared in case your phone runs low on battery. Weighing just 5.3oz and fitting in the palm of your hand, WiBa is the perfect companion for wherever you go! 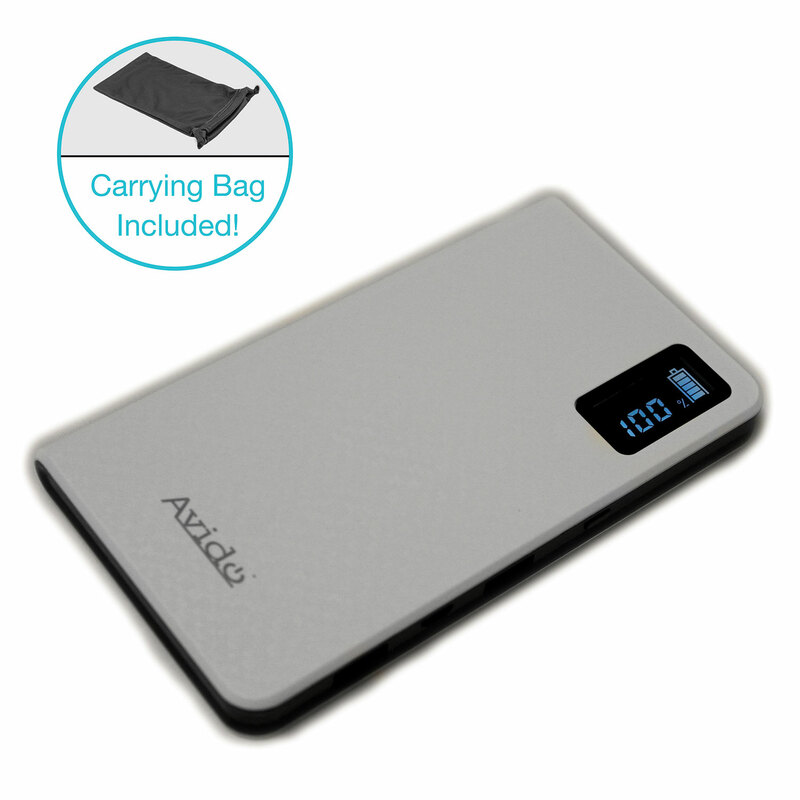 Use the optional anti-slip plate to keep your phone magnetically attached to the power bank. With the 2 complimentary extra thin plates (Silver and Black), your phone stays securely attached for a better wireless charging experience. 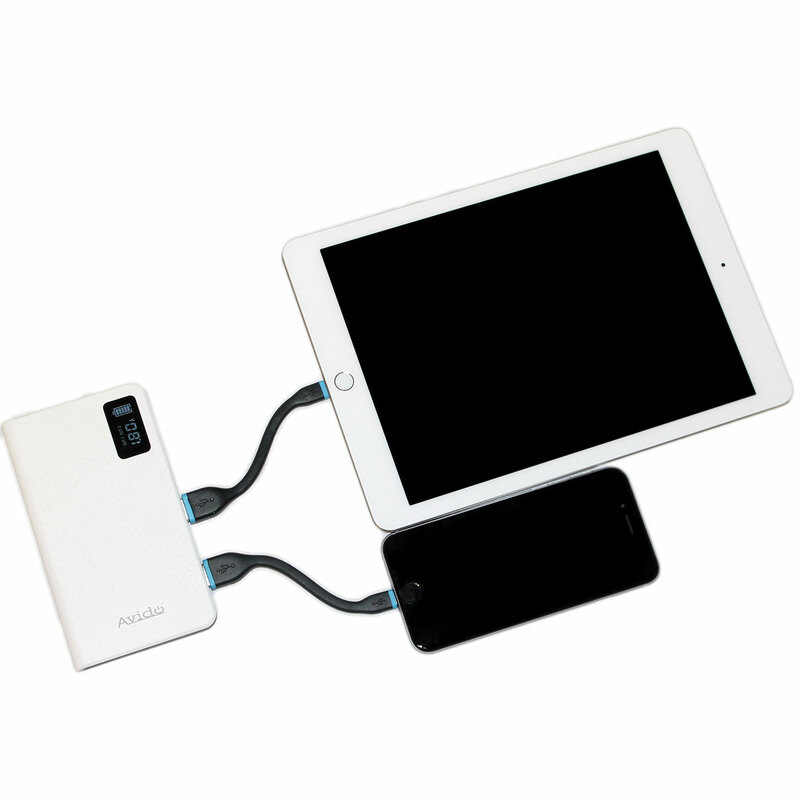 WiBa power bank and charging pad work great with most cases up to up to 3mm in thickness. 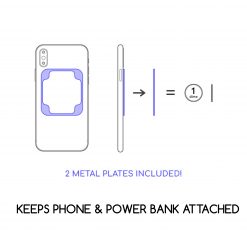 The included metal plates integrate seamlessly with phone cases of all sizes, securing your phone to the power bank while you’re on-the-go. 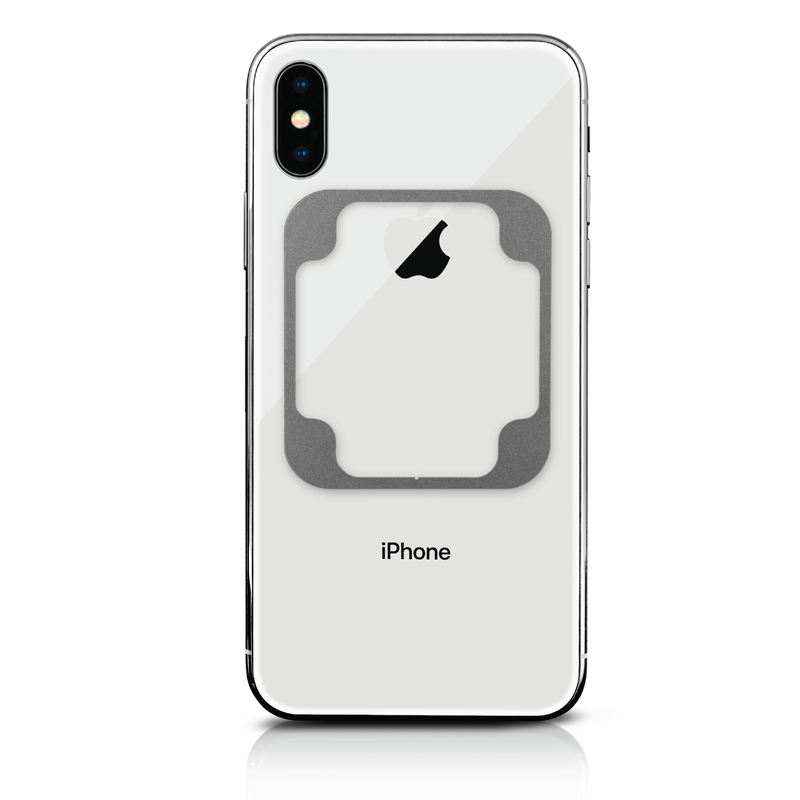 The plates even work through thick cases, such as the OtterBox Defender Series. At Avido, we dare to challenge what’s possible. 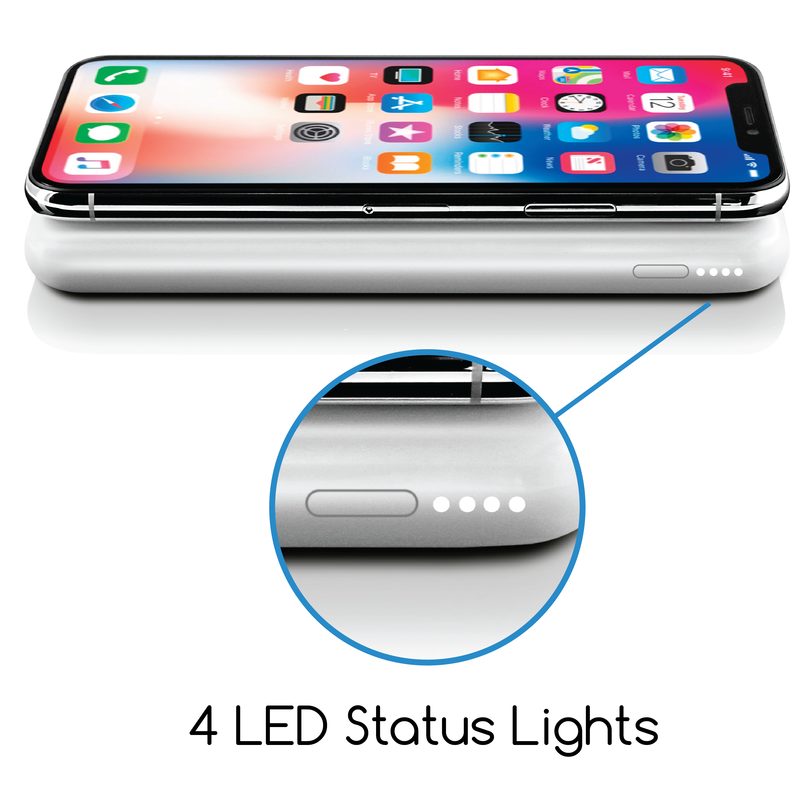 Our team is just like you – power hungry and constantly on-the-go. We know how important it is to keep your mobile life moving, and we work tirelessly to create products that do just this. Based in Washington, D.C., our products are designed in the USA and we have 100% USA-based customer support. We’ve dedicated ourselves to create products that not only look great but are also functional and durable. With years of experience, Avido has become an award-winning company with retail sales around the world. Does WiBa work with phone cases? You shouldn’t have an issue charging your phone while it’s secured in its case, as long as it’s the case is not thicker than 3mm. 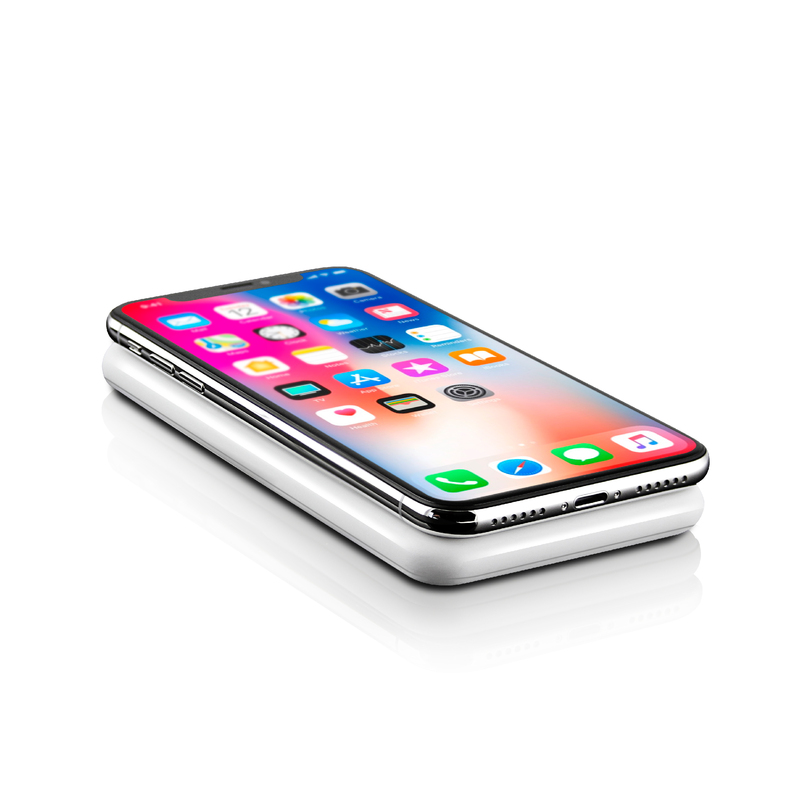 Please note that metal cases are not compatible with wireless charging. 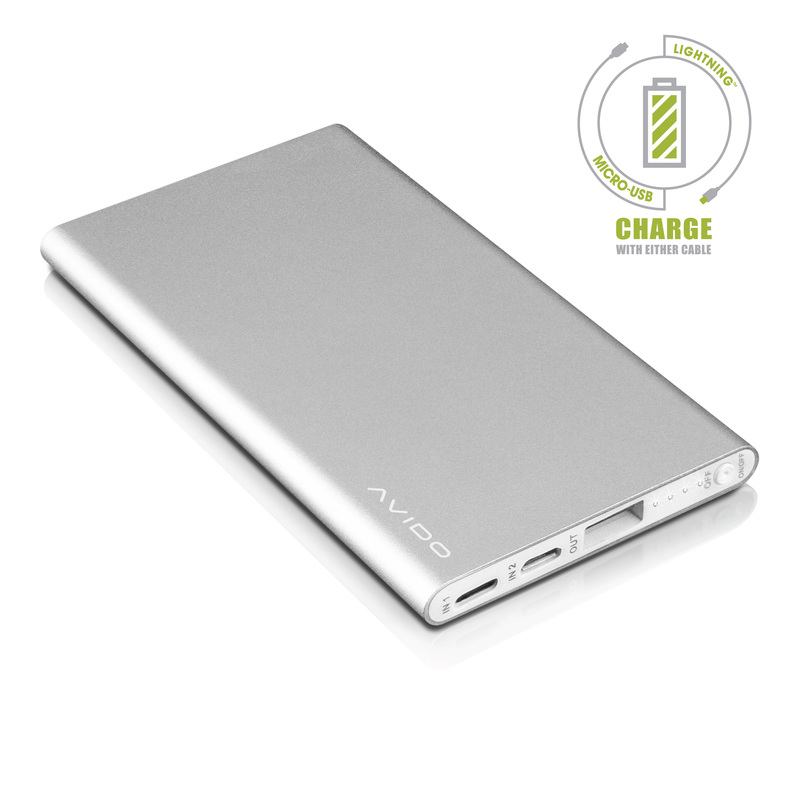 The Avido WiBa creates a better charging experience. 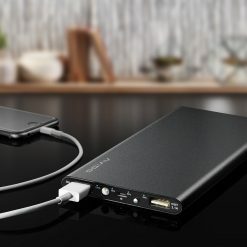 Other power banks on the market either charge by Qi input, or can charge a device with Qi output. WiBa is the first to offer full simultaneous charging. 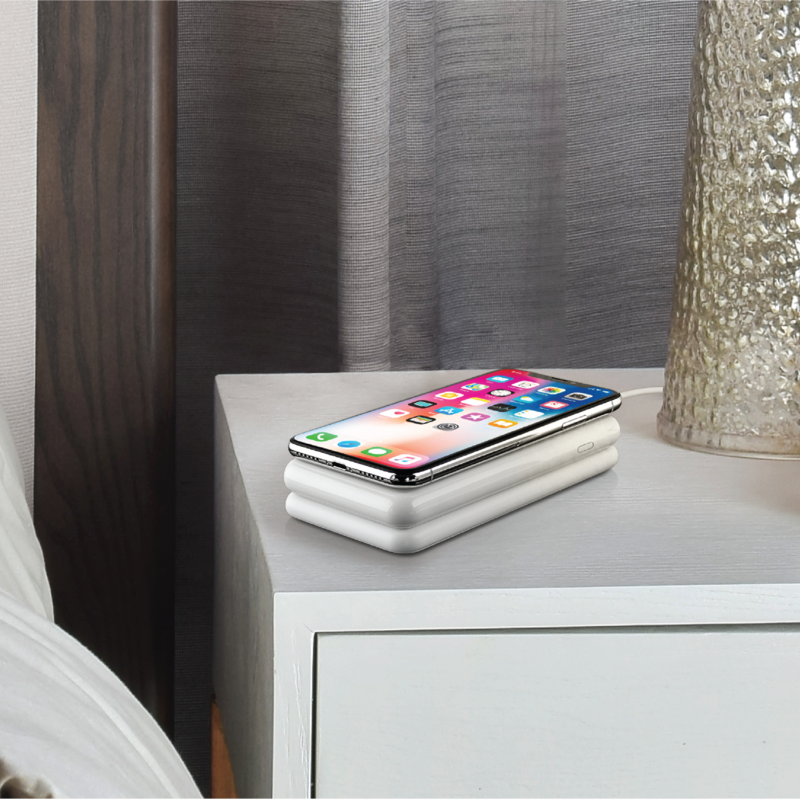 This means to charge the power bank, simply lay it on top of the included charging pad. Just like that, WiBa power bank begins to charge. 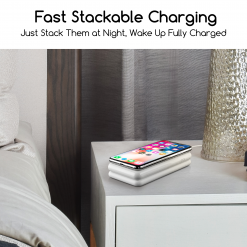 Then, take your wireless charging device, and place it on top of the power bank. Both the power bank and your device will be charging at the same time. There are no cords to mess with, no tangles, and no hassle. What devices are compatible with WiBa? Note: It’s important to check with your device manufacturer to confirm Qi compatibility. PLEASE NOTE: Sensors in phones such as the LG G6 and Droid 2 Turbo will lock the screen if they detect magnets. 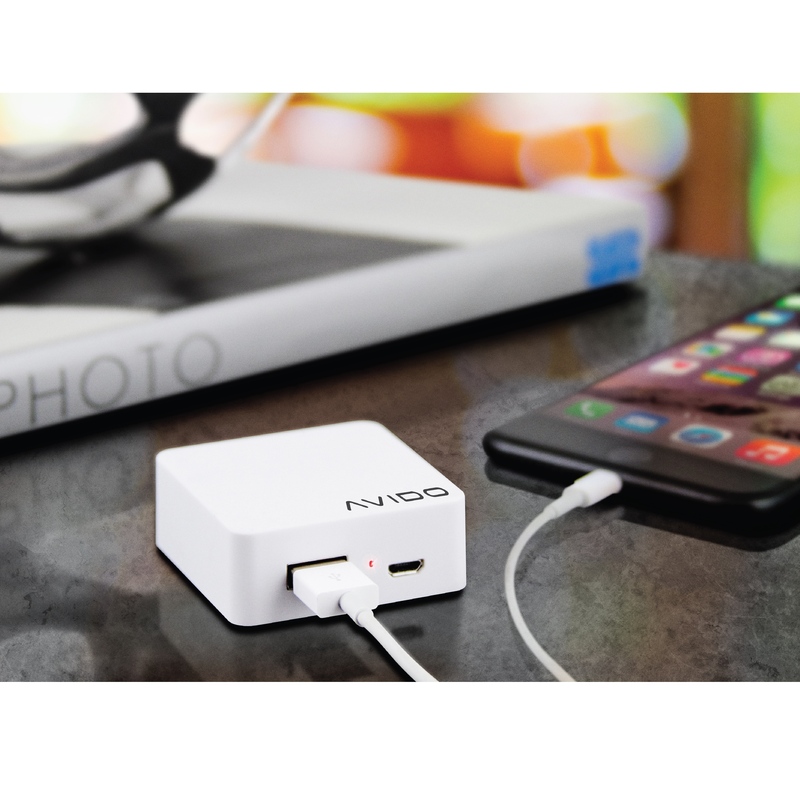 The Avido WiBa can still charge these devices, but the screen may be unusable when charging. Can I use WiBa if my device doesn’t have Qi? Yes! 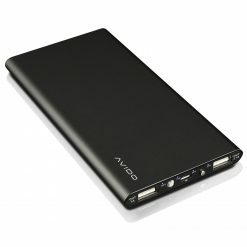 The Avido WiBa power bank is packed with a 2.1A output USB port that can support a wired device. Also, you can take advantage of charging WiBa power bank on the included charging pad (without plugging in a cord to charge), and take it with you wherever you go. Can I use my own Qi pad to charge WiBa? 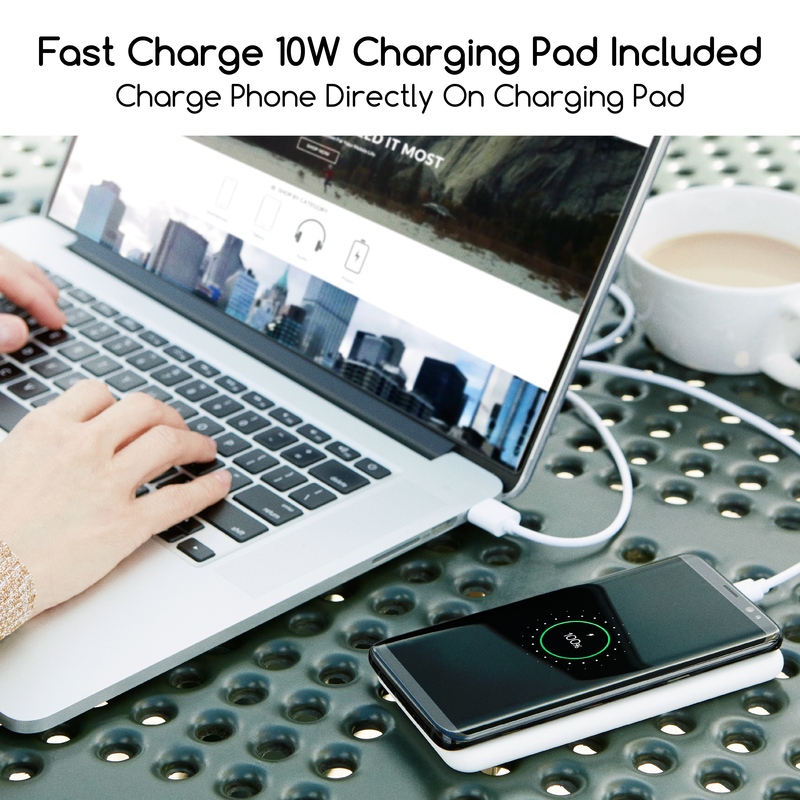 WiBa charging pad uses a patent pending technology to charge the power bank. 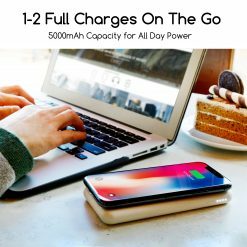 This allows WiBa to achieve quick charging results and enough power to simultaneously charge your power bank and wireless device. 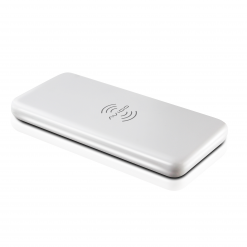 WiBa power bank can only be wirelessly charged by the included charging pad. 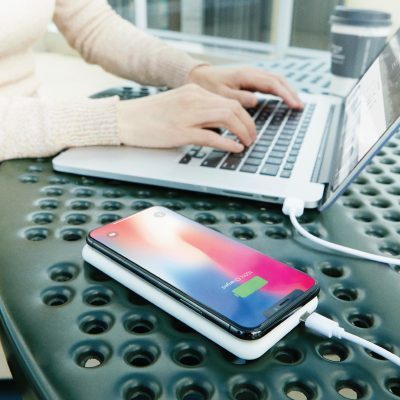 The charging pad has Qi Fast Charge output (10W) and you can place your wireless device right on top of the charging pad – no power bank needed. 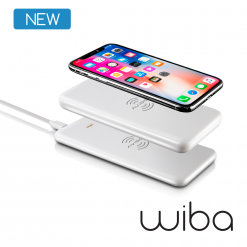 WiBa power bank can also be charged directly using the included USB-C cable. Just plug the cable into the power bank and, if desired, place your wireless charging device on top. 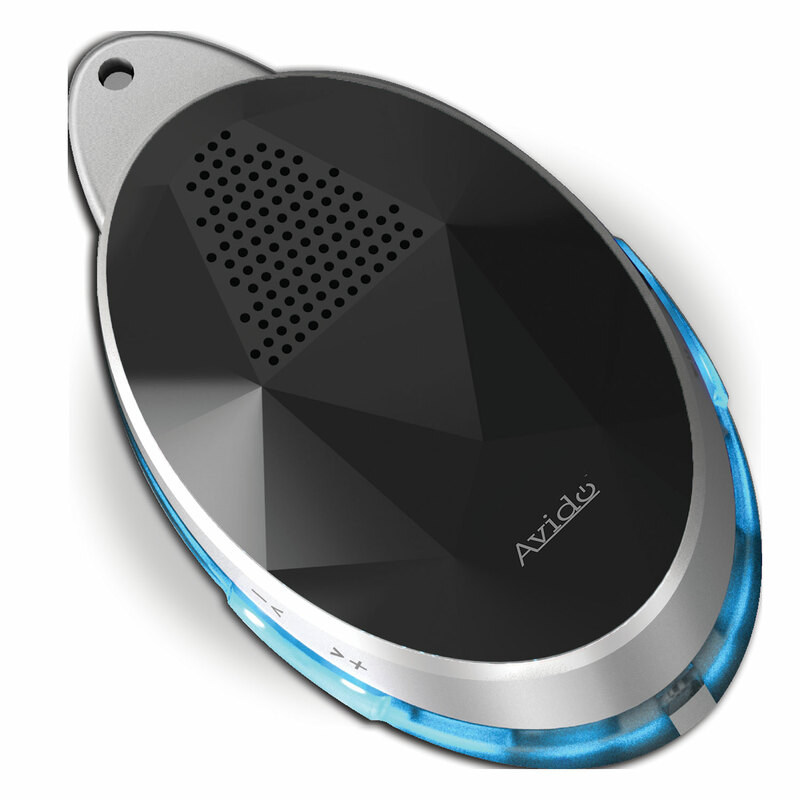 It’s perfect for on-the-go and you can leave your charging dock at home! Can I stack more than one WiBa? 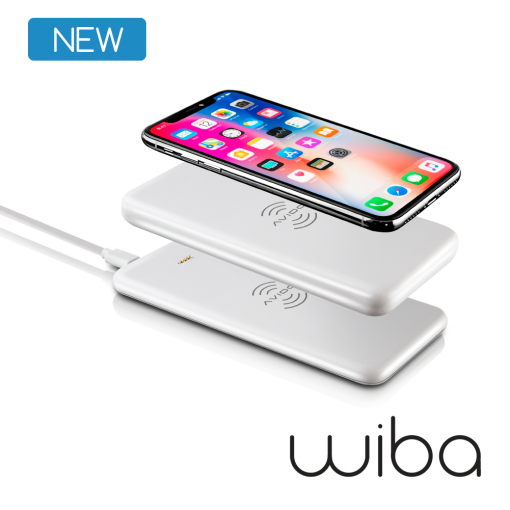 WiBa power bank does not have Qi input, so it cannot be stacked with another WiBa. 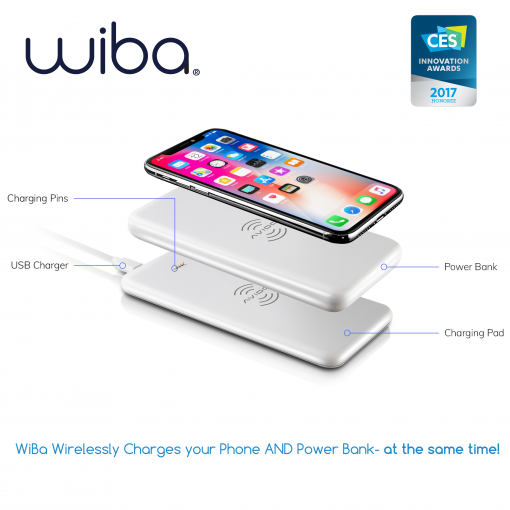 WiBa power bank can only charge by placing it on the included charging dock, or by the traditional method of plugging in a USB-C cable (included). Can my phone slide off of WiBa? 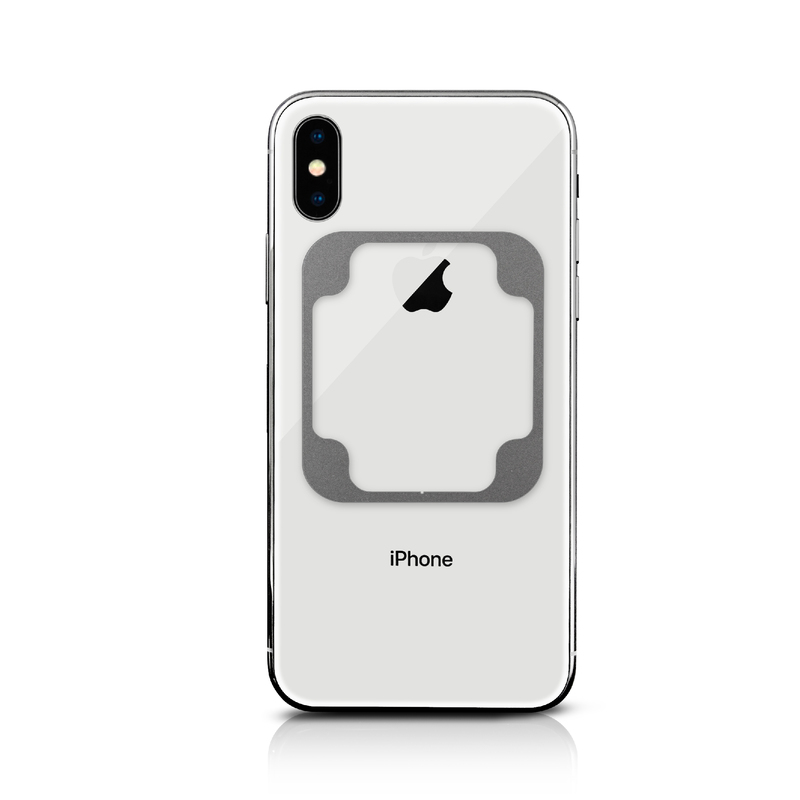 We include two slim metal plates (black & white) that easily attach to the back or case of your phone. These metal plates are optional and are not required to use WiBa. 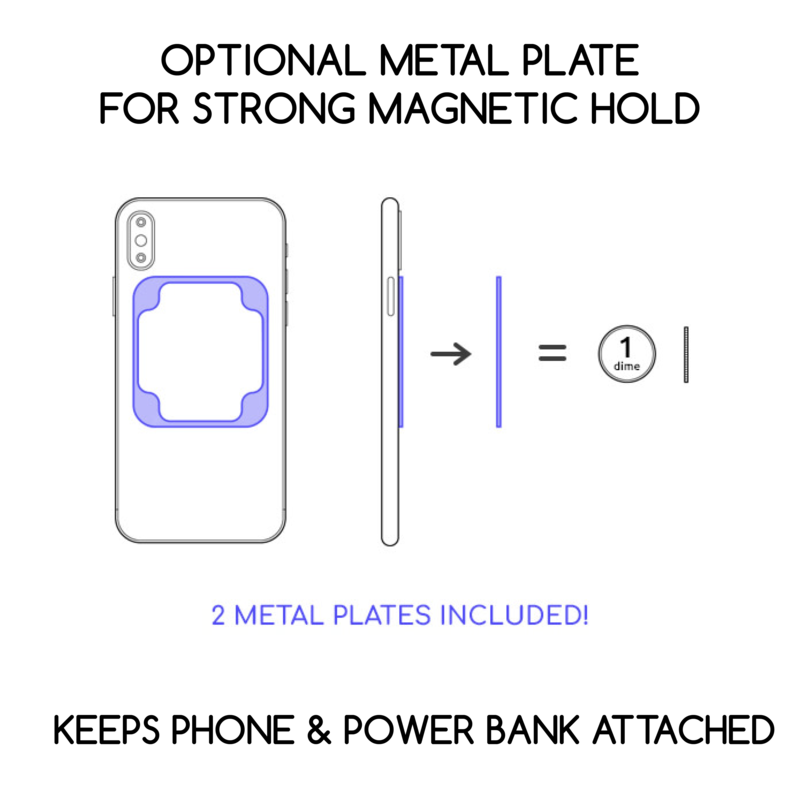 With these plates, your phone will stay magnetically attached to the power bank and will not slide off. 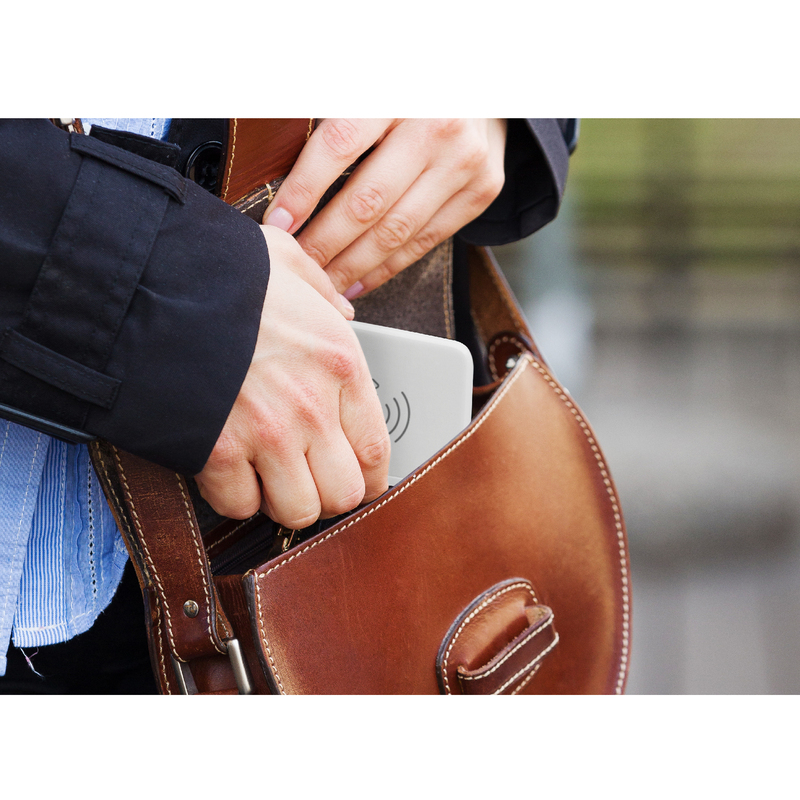 If using a case, we strongly recommend making sure it is slim and supports wireless charging pass through. 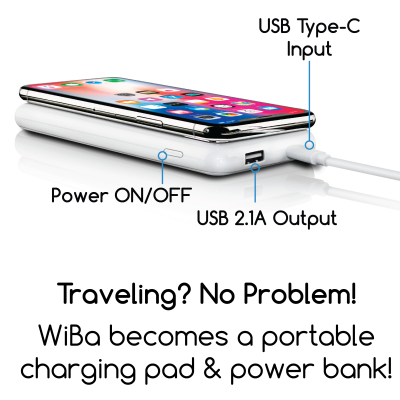 Does WiBa charge as quickly as using a cord? Charging times will vary with both wired and wireless charging depending on external conditions. 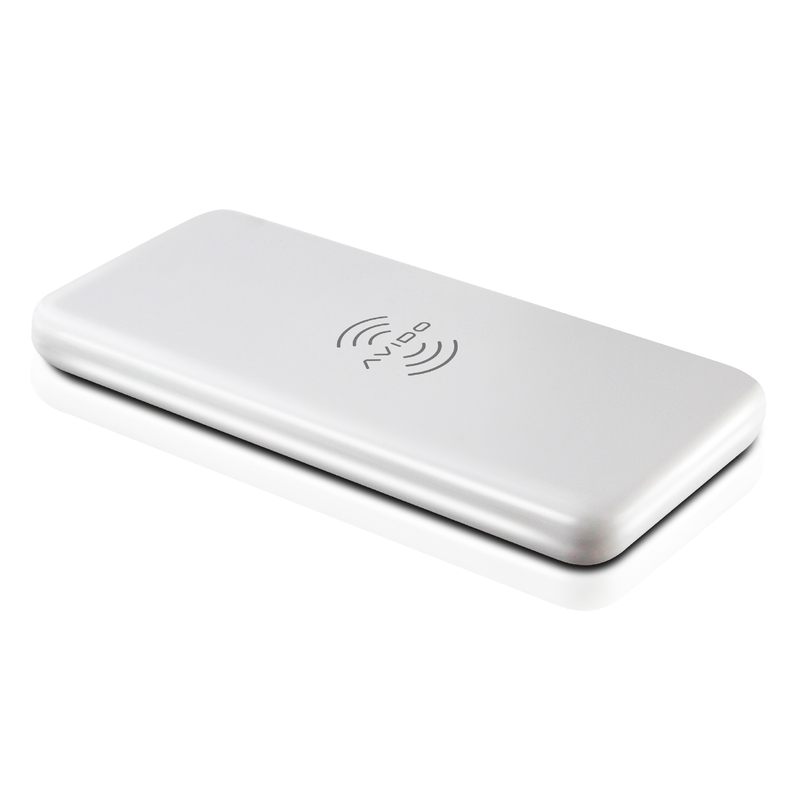 With WiBa, we’ve engineered our product to produce the most efficient wireless output. WiBa’s charging dock has Fast Charge capability and can charge devices with up to 9V/10W of power. 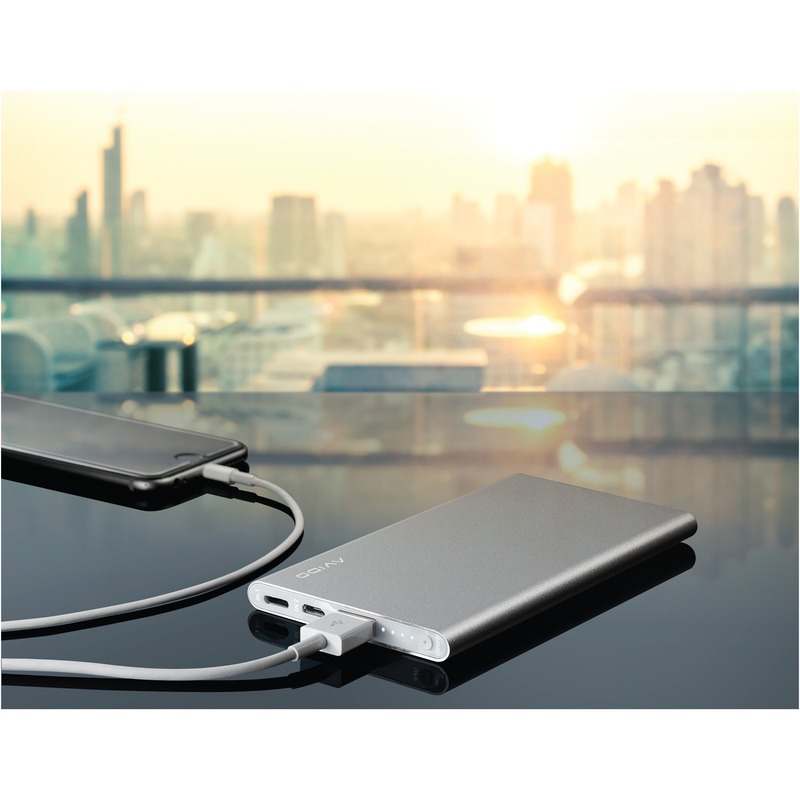 WiBa power bank can charge devices with up to 5V/5W of power. 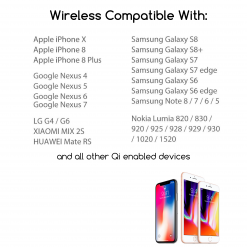 Disclaimer: Qi is a trademark of the Wireless Power Consortium. 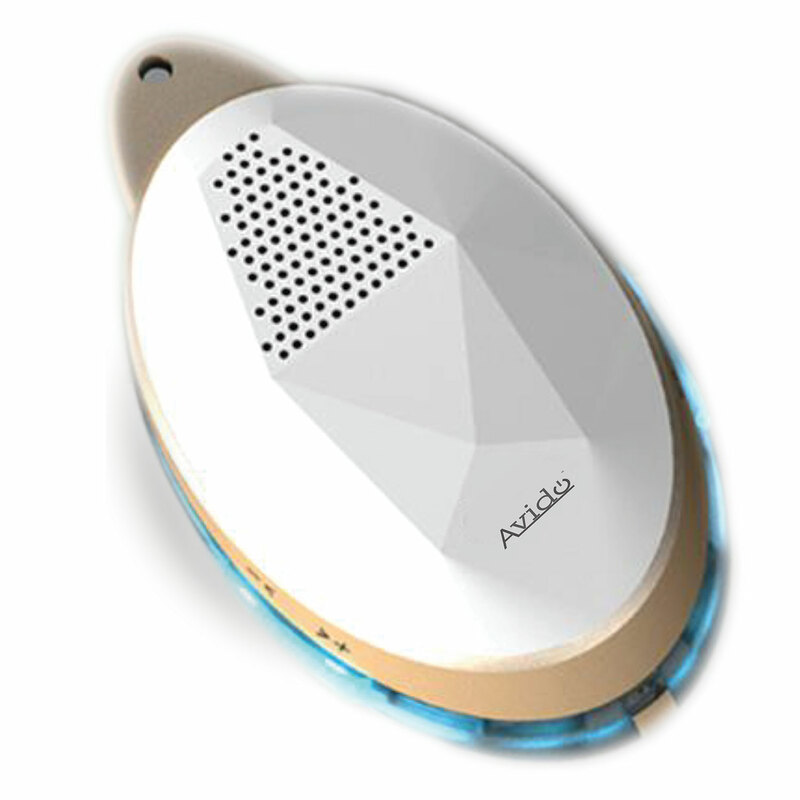 This product is not authorized, endorsed by or in any way connected to the Wireless Power Consortium.